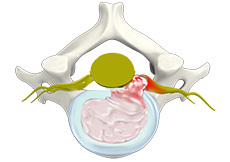 Cervical degenerative disc disease (DDD) is a misnomer as it is not a disease as such but a condition that affects the strength, resiliency and structural integrity of the intervertebral discs due to increasing age, trauma, injury, repetitive movement, improper posture, or poor body mechanics. Cervical DDD is commonly seen in adults after 50 years of age and most of them are usually not aware about their condition until they are examined for some other health condition. 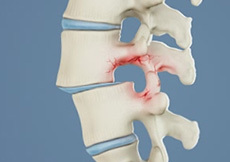 Herniation of a disc is an anomalous spine condition characterized by leakage of the inner contents of the intervertebral disc, due to cracks in its outer wall. Herniated disc is commonly seen in the cervical or neck region, a condition called cervical herniated disc (CHD). CHD is followed by arm or neck pain that may arise due to compression of the spinal nerves by the protruding disc material. This condition is frequently reported in people between 30-40 years of age as well as elderly people. Cervical spine refers to the neck portion of the spine, and cervical spine conditions may result from overuse injuries, trauma and certain diseases. Cervical stenosis refers to narrowing of the spinal canal that protects the spinal cord and its branching nerves. 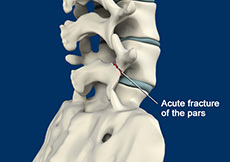 The condition causes neck pain radiating to arms and hands, numbness or weakness in the legs. The sacroiliac joint is one of the large joints in the body and is formed by the connection of the sacrum and the right and left iliac (pelvic) bones. 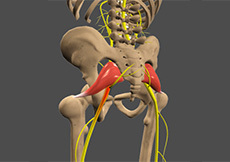 The sacroiliac joints have small amount of movement and transmit all the forces of the upper body to the lower body. 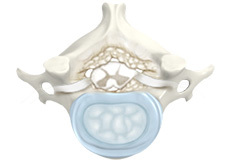 The sacrum is the triangular-shaped bone at the bottom of the spine, below the lumbar spine. 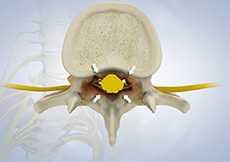 The sacroiliac joint acts as a shock-absorbing structure. 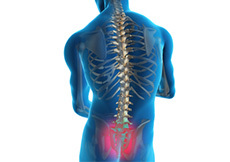 Sciatica can be acute (short term) lasting a few weeks or chronic (long term) persisting for more than 3 months. 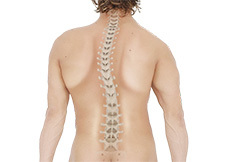 Scoliosis is a condition characterized by abnormal curvature of the spine causing a deviation to one side. It causes a physical deformity making the spine look like the letter “C” or “S” instead of the letter “I”. Scoliosis can affect either the mid or the lower back, but the scoliosis of the mid back is more common. Scoliosis can occur at any age.